We typically run Hill Skills courses in Snowdonia, the Peak District or the South Downs, but please contact us to discuss other options. During our Hill Skills course, you can expect to start each day at about 9am. The first part of the course is spent indoors, getting to know the other people on the course and gaining an understanding of basic hill walking planning. 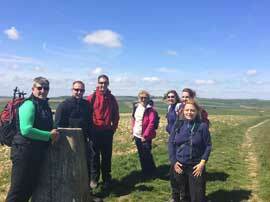 The tutor will outline the plans for the course before you head out into the hills. The end of the day will usually involve a short indoor session to review the day and plan the following days' outing. You can expect to be out walking each day for around 4-5 hours; generally on Hill Skills courses this will be on footpaths or trails that are rough underfoot. Much of the journey during the course will involve learning opportunities; the pace of the day is friendly and will include plenty of breaks. How to successfully plan a hill walk. 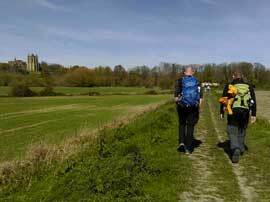 What you should consider while out walking (pace, nutrition, movement skills etc). Using map and compass to navigate and an intro to GPS. Gain a valuable understanding of the upland environment. 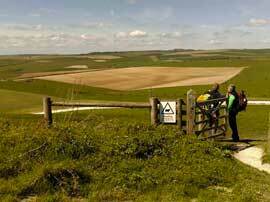 Learn about the equipment required for maximising your safety and enjoyment while hill walking. How it affects the hills and your day out and how to plan a day around the weather. 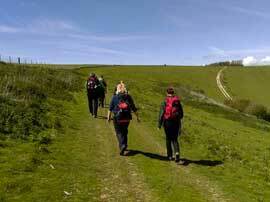 Emergency procedures in the hills and managing risks while walking.